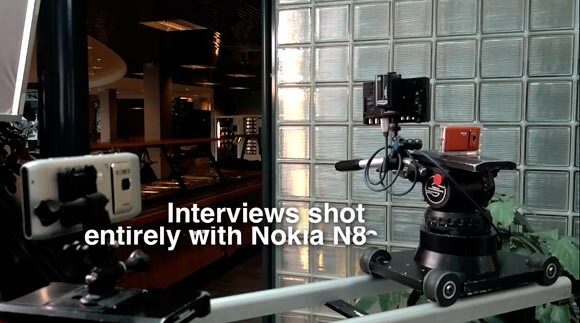 Nokia has just posted a video highlighting the camera of the Nokia N8. The video consists of interviews with the people from Carl Zeiss AG and Nokia themselves. The 12 megapixel camera on the Nokia N8 is something quite special. Here to discuss its development are Eero Salminen and Juha Ala-Karhu from Nokia, as well as Oliver Schindelbeck, Norbert Wittekindt, Uwe Weber, Dr Hubert Nasse, Dietmar Mondon and Dr Tilman Heil from Carl Zeiss. In the video, they also highlighted a short film recorded purely on the N8 itself called “Dragonfly Love”. Watch it here. One Response to "Nokia and Carl Zeiss – Creating the Best in Mobile Photography [video]"